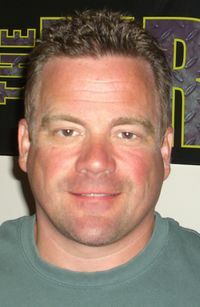 John G. "Johnny" Brennan (born December 1, 1961) is an American actor, voice actor, and writer. He voiced Mort Goldman in Family Guy's season 13 premiere "The Simpsons Guy", a The Simpsons/Family Guy crossover. Modified on September 30, 2014, at 02:30.